We provide an oasis - a safe, stable, and fun environment for children of all ages to learn, grow, and thrive to allow them to have the bright futures that they deserve! The children who live with us at our Simply Smiles children's home come from various backgrounds and family units. Many are from remote regions of the state where both access and local economies make schooling and health care unavailable or unaffordable. Many of the children who now live with us can continue their education at the best schools in Oaxaca, from grade school to the best higher education and trade school institutions in the region! We can already see the next class of leaders cropping up! 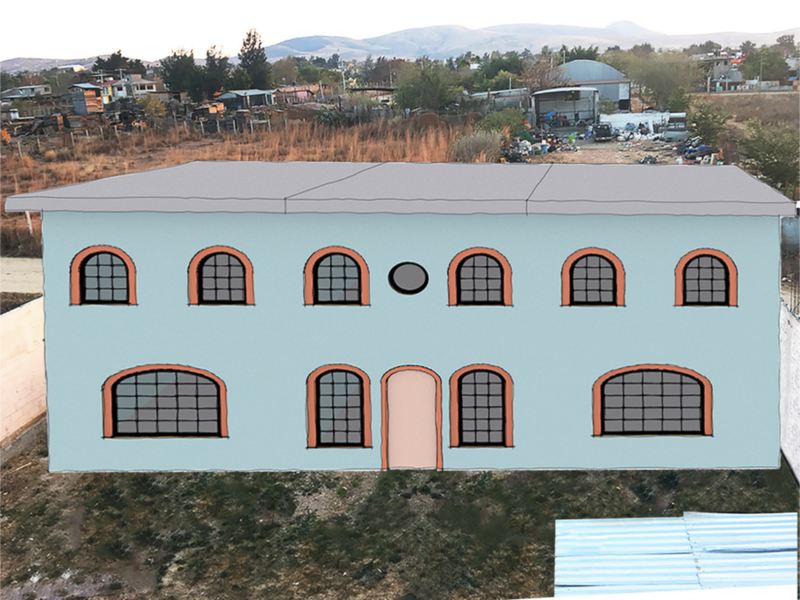 The location of our children's home in Oaxaca's urban center allows us access to superior medical care, doctors, and specialists, allowing children to live fulfilling lives and be healthy kids and young adults! The Simply Smiles Home for Children is becoming an outreach center! Juan José and his family live in a neighboring community from our facility. Previously, Juan José had to rely on his family to carry him everywhere. Simply Smiles provided him with a new wheelchair. In 2002, at the age of 12, Gaby chose to leave her home in a remote Mexican village to move to a children's home in Oaxaca City and pursue her education. She moved to the U.S. in 2008, and, in 2015, she received her B.A. in Business Administration from Sacred Heart University in Connecticut on a Simply Smiles Scholarship. After seven years living in the United States, Gaby made another monumental decision: to return to Mexico to manage and oversee Simply Smiles programs in Oaxaca! Gaby is an exceptional individual and an inspiration to thousands of people in Mexico, the US, and beyond. When you sponsor a child living at the Simply Smiles Home for Children in Oaxaca, Mexico you are providing what that child needs for their journey to a bright future. Child sponsorship is a monthly recurring donation, of any amount, that funds healthful meals, quality education, top medical care, loving staff, and a safe & nurturing family environment. These children need you. And you’ll see the impact you are making. You’ll receive regular updates on the child/children you choose, as well as monthly emails giving you an inside look at the day-to-day life at the Simply Smiles Home for Children. help us expand the children’s home! Our expansion will provide a home and a path to a brighter future for nearly 40 children. The plans are drafted and the architects and contractors are ready to begin construction once we reach our $500,000 goal. Motivated by the recent immigration crisis and their commitment to Simply Smiles, David and Nancy Nurnberger have made a contribution of $50,000 to expand the children's home. You can be a part of this life-changing project. get to know some of the young people living with us at our children's home! With access to specialists, Rosaura gains weight and shares smiles! Rosaura as a healthy, happy 5-year-old! Rosa, shown here, enjoying her first day of kindergarten in August 2017! We met Rosaura and her family in early 2016 in the remote mountain villages of southern Oaxaca at one of our combined medical clinics and food distributions. It was clear that a 4-year-old Rosaura - weighing just 12 pounds, suffering from cerebral palsy - needed serious and immediate medical attention. After working closely with her mother, Rosaura and her siblings now live at the Simply Smiles Home for Children. We are happy to report that since moving in with us in June 2016, Rosaura is thriving. She has regular appointments with specialized doctors at Oaxaca's children's hospital, located just five minutes from our facility. She is gaining strength with each day that passes! Pedro is from the same village where the children’s home Director, Gaby, was born. With nobody at home capable of caring for him full-time, Gaby made a visit to her village to bring Pedro back to live with us at the Simply Smiles Home for Children. Now, he is part of a supportive community and is enjoying learning at his new school. Susana is from a remote village in southern Oaxaca. She is the eldest daughter in a family with seven siblings. Since her arrival at our children's home in 2016, Susana has been working very hard in school and is among the top students in her class. Susana wants to become a doctor some day! You can support the futures of these amazing young people and many more! Click below to read the latest impact updates below from the Simply Smiles Home for Children and how donors like you are making a tangible difference! The Simply Smiles Home for Children: A safe, stable, and fun environment for children of all ages to learn, grow, and thrive to allow them to have the bright futures that they deserve!